Longtime NBC Sports broadcaster Bob Costas put it bluntly Tuesday night: The reality is football "destroys people's brains." 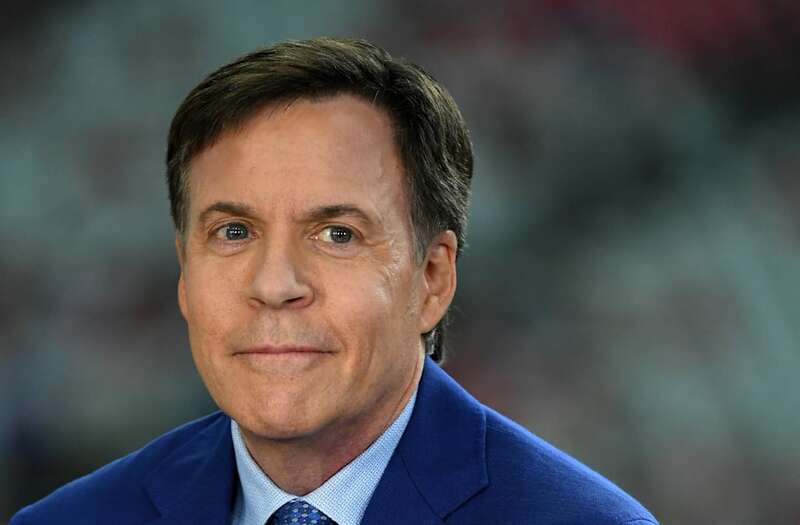 While speaking on a panel at the University of Maryland along with other sports journalists and personalities, Costas reportedly called the game's decline the most significant story in American sports. Costas was joined by USA TODAY Sports columnist Christine Brennan and ESPN’s Tony Kornheiser and Mike Wilbon. Kornheiser, who co-hosts “Pardon the Interruption” with Wilbon, agreed with Costas. “It’s not going to happen this year, and it’s not going to happen in five years or 10 years," Kornheiser added. "But Bob is right: At some point, the cultural wheel turns just a little bit, almost imperceptibly, and parents say, ‘I don’t want my kids to play.’ And then it becomes only the province of the poor, who want it for economic reasons to get up and out. Costas said that the more information that comes out about football, "the worse it looks." Research done on chronic traumatic encephalopathy (CTE) has shown a link between football, especially the sport's repeated hits to the head, and the crippling brain disease. Boston University has released three studies on CTE since July. In one, test results on 111 brains of deceased former NFL players revealed evidence of CTE in all but one of them. Multiple former NFL players were diagnosed with CTE — which has symptons including depression, mood swings and aggressive behavior — after their deaths. Eventualy, Costas said, families will come up with the "common sense conclusion" that kids and teenagers shouldn't play tackle football until they are 18 year sold, if ever at all. Read the Daily News' four-part series on the fate of football: Here, here, here and here.